Short range ENTRY level wireless TV viewing headphones from a brand you can trust. IR wireless transmission allows you to be free from the hassles of cables. The inner headband makes it easy to obtain a perfect fit for your head. The mechanism adjusts automatically for comfort. ALC helps prevent audible distortion of input signalsbr /> This smart electronic circuit ensures that the audio input level is automatically adjusted to the right level, preventing distortion and preserving your listening enjoyment. 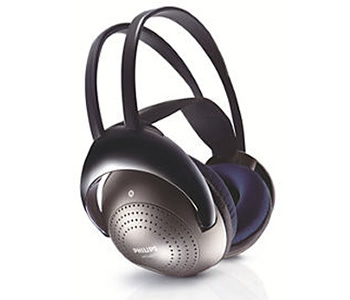 The headphone set incorporates facilities for recharging the batteries.